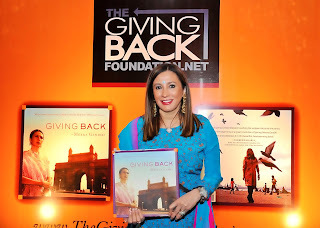 The book "Giving Back" will launch in New York on May 9th after its debut in India on December 15th, 2011 on a tour of nine Indian cities. Subsequently it launched in Shanghai and will launch in Istanbul on March 23rd. Dedicated to those that give back each day, this book will make you want to be counted among those that are giving back. We are honored to be given the chance to review this treasured compilation in advance of its launch and we highly recommend that you attend the New York event on May 9th and purchase this book. “Giving Back” illustrates the joy there is in literally giving back to the world, and what makes this remarkable is the myriad of ways there are that she details through her own example: a number of organizations are explored and there quite literally is at least one way for everyone in this world to give back. 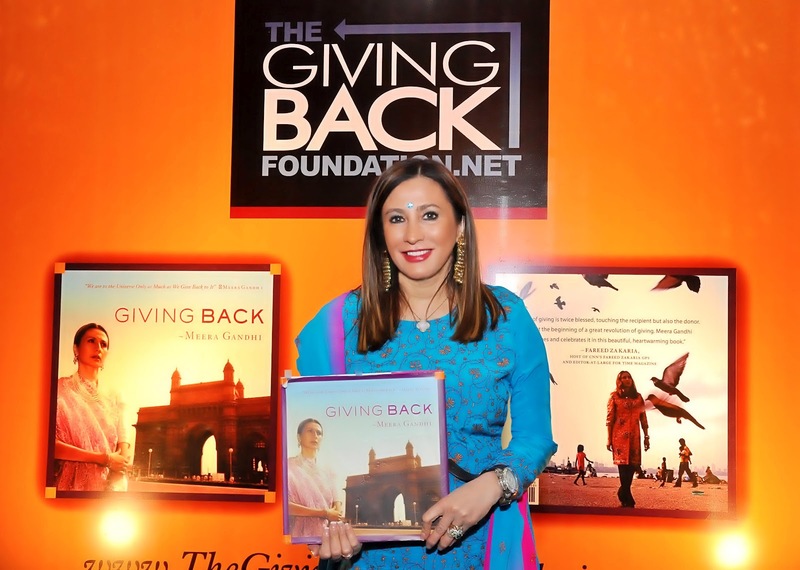 The Giving Back foundation is centered on four overall causes: Women’s Interests; Children’s Needs; The Environment, Disease and Poverty; and Culture and Arts and is later organized among specific charities that are nested under each umbrella. Meera’s devotion for giving back began formally in 1978 when she began going to Mother Teresa’s Asha Daan in Mumbai, and she even met Mother Theresa twice whose actions and words to her clearly had quite an impact. We live in a world where news is not only good news, however on Whom You Know as you may know we only publish the positive and embrace it. This book is the epitome of the word upbeat. The positive nature in this book flys off the pages and will engage you to action as you become inspired with the turn of each page. The letters, the pictures, invitations, and pledge cards echo the strong engagement happening in each respective cause that will interest you. And you’ll get to know Meera more as a person of course-you know she is fashionable but did you know she was a buyer for Lord & Taylor at one stage? We admire Meera not only for her passion and intelligence but also for the fact that she is a philanthropist that actually goes out and does the charitable work and doesn’t merely write a check or put on an event. She goes the extra mile and her golden sincerity makes her a shining star in the Universe. 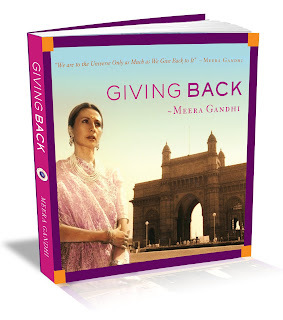 It is a much greater joy to review a book of someone that so clearly cares about excellence for the greater good, and we are proud to count Meera Gandhi not only among those we know, but also as a friend. With a foreword written by Cherie Blair, “Giving Back” also boasts a list of influential citizens of the world that are also dedicated to their respective causes; this also includes: Bono, President Clinton, and Prince William plus you’ll see some well-admired names of New York including Barbara Tober and Somers Farkas...we won’t tell you all of them-we want you to purchase the book! Maybe you’ll see your name includedâ€¦or perhaps your picture! Whom You Know gives “Giving Back” our highest recommendation. Bravo Meera! We would encourage all of you to give back by purchasing her book, and then picking some of the charities featured. At the conclusion on page 132, Meera suggests engages the reader by suggesting how one can find a charity that speaks to them. As the year progresses, “Giving Back” will launch in London and Paris in the summer. We will keep you apprised of the book’s journey around the world. We think it would be fantastic to see a map of the world with stars on every spot The Giving Back Foundation has touched, because it is truly lighting up the world.